Where should you start your research process for the right virtual tour? One of the keys to a great virtual tour is the 360 panorama software used to create it. Anyone can buy a certain kind of software, so what else is needed? What questions should you ask the virtual tour companies that you contact? And finally are you getting all of the facts that you will need to make an educated decision? Our 360 virtual tours offers the highest quality digital images at competitive prices. While our virtual tour software is indeed great for business tours of all kinds, 95% of the flash panoramic tours on our servers are real estate tours. These kinds of virtual tours are volume based tours and are great for showing a real estate listing. Our virtual tour providers love that we automatically create feeds at RTV that send your virtual tours to many of the national portal sites. 1. Are they a local company with an actual person you can call directly or do you go through a national number to schedule an appointment? 2. Where is the virtual tour hosted and how long has that company been in business? 3. What is the marketing background of the company, do they understand real estate, social media, property and personal brand/name marketing? Yes, this is photography, but marketing is what it’s all about, right? 4. Where will they distribute your virtual tour and/or do they just send you a “link” and you have to distribute it yourself? 5. Will they create and distribute a YouTube presentation for you? 6. Will they create and post a Craigslist Ad for you? 7. Will they blog/Twitter/promote your virtual tour/listing? These are just a few of the questions you will want to ask before you decide if it is worth the expense. What’s most important is to note that ALL RTV virtual tour providers are trained to provide all of the above services and MORE! Simply ask yourself where you can spend $100-$200 and get all of the above marketing and exposure. A virtual tour provider is just what you need when you want to order a Real Estate Virtual Tour. All of RTV’s virtual tour providers are thoroughly trained by our professional virtual tour trainers and offer the best service available. Best of all we offer full coverage everywhere in the United States! To order a Real Estate Virtual Tour please use the virtual tour service order form on our home page and a virtual tour provider near you will contact you right away with pricing information for your virtual tour or tours. Each virtual tour provider sets their own pricing based on local market conditions to ensure you receive the best price possible for your real estate virtual tours. At RTV we are providing the world’s finest virtual tours. RTV offers the highest quality digital images, with the quickest customer response time at competitive prices. While our virtual tour software is great for business tours of all kinds, 95% of the virtual tours on our servers are Real Estate Virtual Tours. These kinds of virtual tours are volume based tours and are great for showing a Real Estate listing. 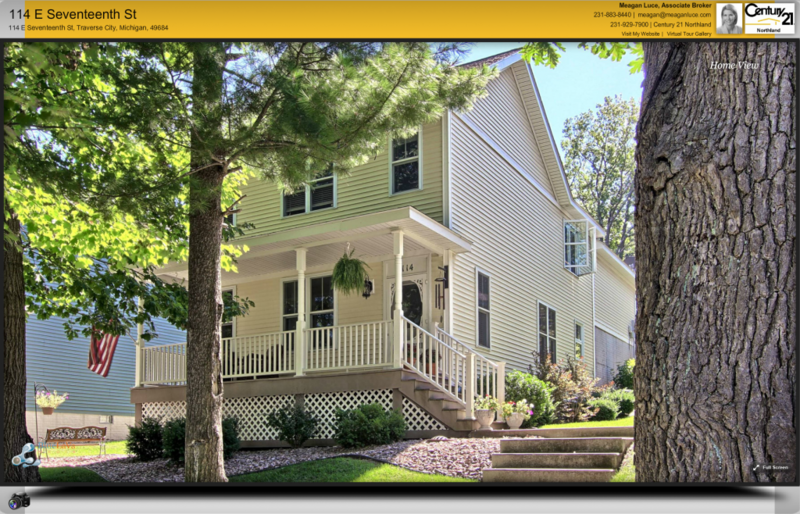 Our virtual tour providers love that we automatically feed real estate tours to many of the national portal sites. 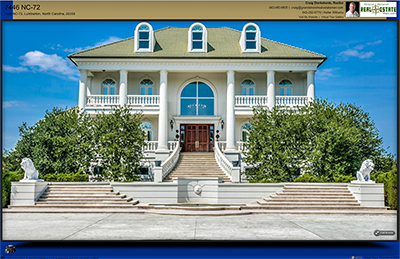 RTV offers beautiful flash virtual tours that can be viewed full screen. The flash panoramic photos in the virtual tour give potential home buyers the opportunity to preview the home before scheduling a showing. We also have a Java version available. Virtual Tour Distribution is one of the most important aspects of virtual tour production for real estate tours. If you build a virtual tour, upload it to a server, and nobody ever sees that, what purpose would it serve? I think we can all safely agree that tour would be rather useless if nobody ever saw it. Linking your tours is very important so we make sure that our virtual tour software and our virtual tour management system are able to port your real estate tours to the national real estate portal sites. When you upload your 360 virtual tour to the RTV servers, automation and customization of your real estate virtual tours are not the only things that take place. We send your real estate tours to as many of the national portal sites as possible as well as to MLS boards that participate with our feed program. Your real estate tours can be sent to www.homeseekers.com and www.homes.com free of charge as long as the real estate listing exists on those websites. Since we are an approved PicturePath member of Move.com, formerly Homestore Inc., the operator of Realtor.com, we are authorized to also feed our real estate virtual tours to the following websites: www.move.com, www.realtor.com, MSN Home Advisor, AOL Real Estate, plus many others! Move.com applies a charge for each real estate virtual tour sent from RTV to these sites if the Realtor is not a Showcase member but the fee is waived if the Realtor is a Showcase member. Each provider is responsible for collecting the posting fee from the real estate agent when appropriate. Click here to order a virtual tour from a local provider! Don’t want to build your own flash real estate tours? Sit back and let our vast network of virtual tour providers build them for you! Virtual tour providers are available nationwide and in many other countries. All of RTV’s virtual tour providers are thoroughly trained by our professional virtual tour trainers and offer the best service available. RTV has some of the industry’s best add on products. Not only do we offer beautiful virtual tours, but we also have 2D and 3D floor plans, as well as 3D Walkthroughs to supplement your real estate marketing. These exciting products are available from your virtual tour provider or explore our website for more information. *To help save time and improve accuracy, please provide a phone number. We will call and briefly speak with you to discuss your unique project. (*) Signifies a required field.